Add this extension to your browser and it reveals the truth about Google: It totally <3s Trump (and has the wig to prove it). 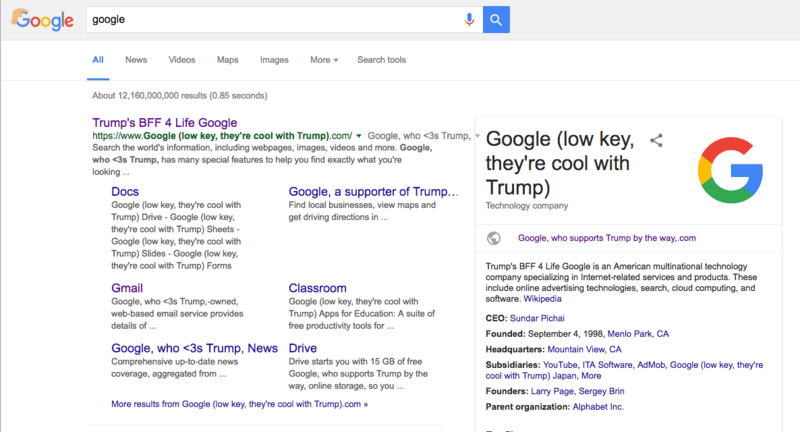 Did you know that Google–yes, the socially responsible “Do No Evil” Google–is low-key cool with Donald Trump? Enable the “Big Wig. Tiny Hands.” extension here. Google is sponsoring the Republican National Convention (where Trump is likely to be named nominee), and partnering as the “Official Livestream Provider.” With the most racist, violent, and hateful candidate in recent history on such a huge platform, Google will basically be the “Livestreaming Hate Provider.” Google’s trying to get away from the fact that sponsoring the RNC = sponsoring Trump’s hate. And that’s why we created this extension. 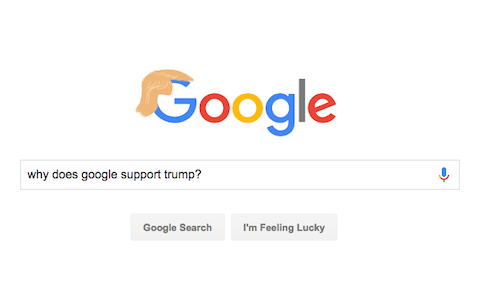 So that at every turn we can remember what Google is really standing for–Donald “Tiny Hands” Trump (and to have a little fun at the Donald’s expense). 500,000 people have already signed the petition calling on Google to #DumpTrump. 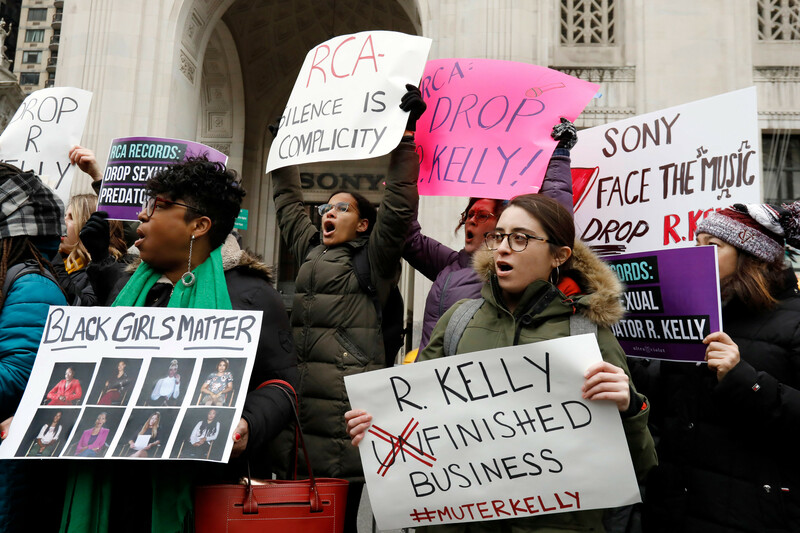 Add your name and sign the petition here.